Mediation is a collaborative process where parties who are in dispute are assisted by a Mediator, who is a third party neutral independent of the dispute, to come to an agreed resolution. 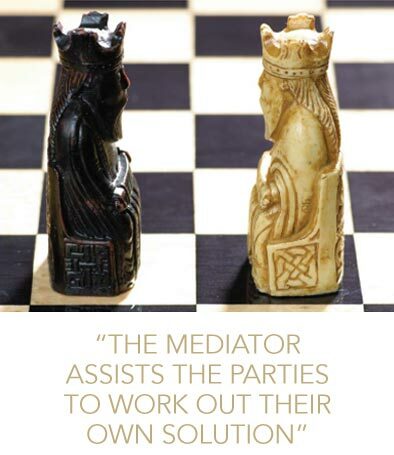 The mediator has no power to impose a decision but instead assists the parties to work out a solution that they want. Unlike an adjudication, the mediator has no authoritative power to make a determination or award that will bind the parties. Instead the mediator has the assistance of “informational” power. To this end the defining characteristic of mediation is the “private caucus” where the mediator gets to hear confidentially the private objectives of each party. Although the mediator cannot reveal this information without the party’s permission, it gives the mediator an astute understanding of the “real” issues and interests of each party rather than just a focus on legal rights. The options available to the parties and the solutions reached at mediation, are therefore much broader and more creative than can be made by a court charged with resolving the dispute. Mediation gives the parties to a dispute the opportunity to express their feelings about what has happened to cause the dispute. They are also principally involved in the process of option generation, settlement discussions and ultimate resolution by agreement. There is no “search for the truth” that occupies most court hearings. Instead, parties have the flexibility to construct outcomes that are creative and based on their in-depth knowledge of the dispute. Most matters that are dealt with at mediation do settle.